I've always been a fan of picking up magazines when there's a freebie on offer (I mean, who isn't!?) so I thought I'd share a couple of gems I came across recently, just in case you missed them. I have a feeling these won't be on the shelf for much longer though, so if you're going to try and get them - be quick! First up, In Style. A magazine I always tend to leave sitting on the shelf, which is odd because it's actually a really good read. 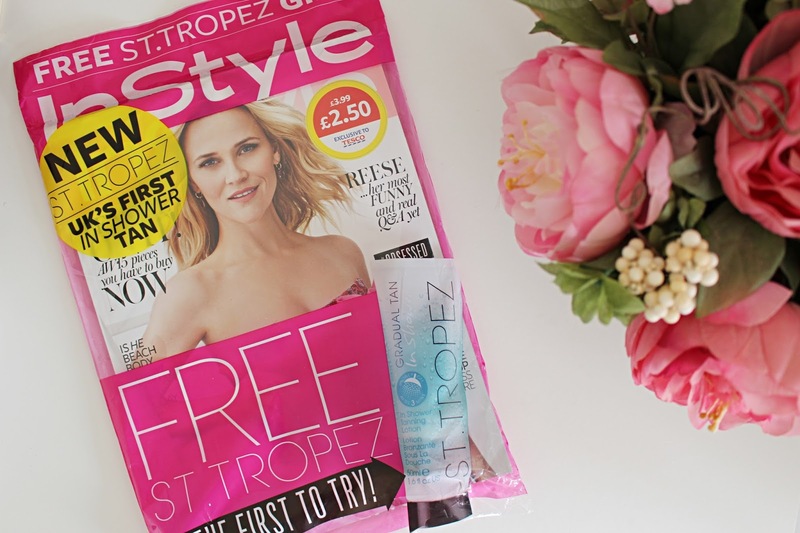 This month (August) they're offering a free mini bottle of the new St Tropez In Shower Tan, so getting hold of the magazine is a great way to give it a test before purchasing the full-size bottle. I had a little try of it the other night and wasn't too impressed, but if anyone else has tried it I'd be really keen to hear how you got on! 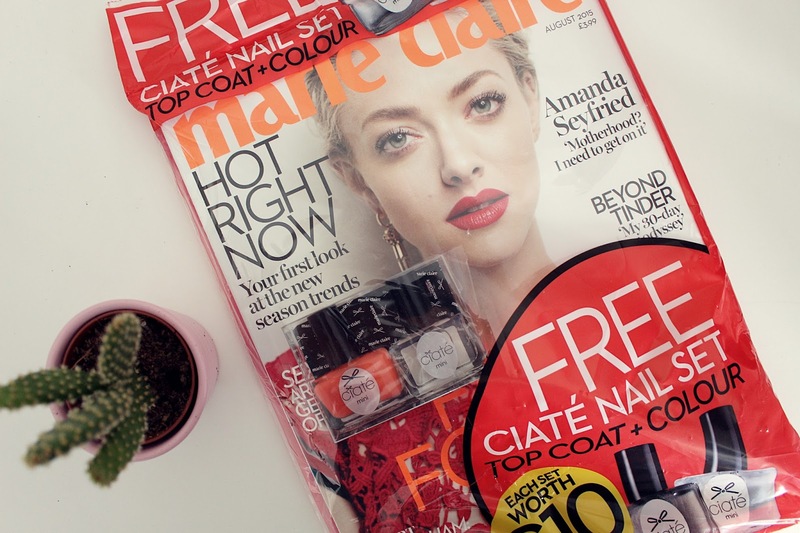 Another really fab freebie this month comes from Marie Claire - a personal favourite of mine after interning there a few years back. This month they're giving away a free Ciate nail set, complete with top coat and colour, in a range of different shades. I picked up the bright orange shade (it is supposedly summer so I thought it kind of apt) and I was really impressed. Again, it's a good way of testing out a brand before investing, and you actually get a fair amount of product in these. The top coat is AMAZING as well, so it's worth buying the mag for that alone. Have you picked up either of these this month? Let me know if there are any other freebies in magazines you're currently loving!